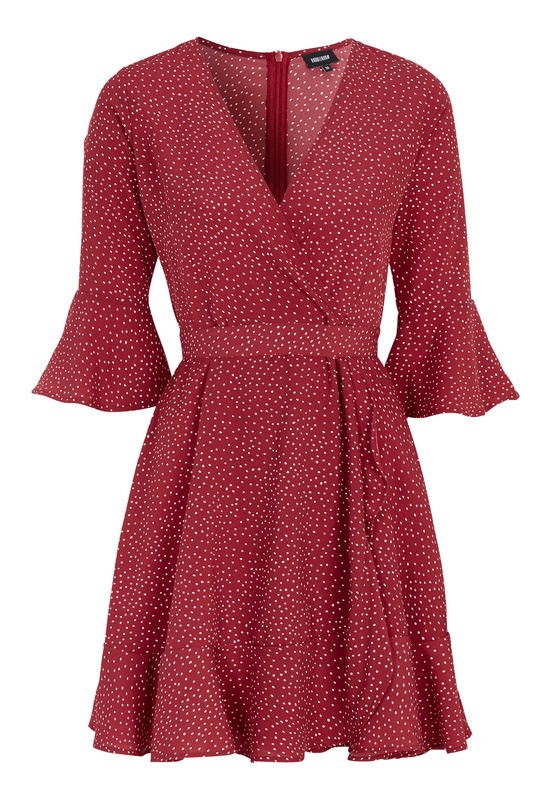 Cute, patterned wrap-dress from BUBBLEROOM. - Made in an unelasticated quality. - A tie at the waist that cannot be removed. 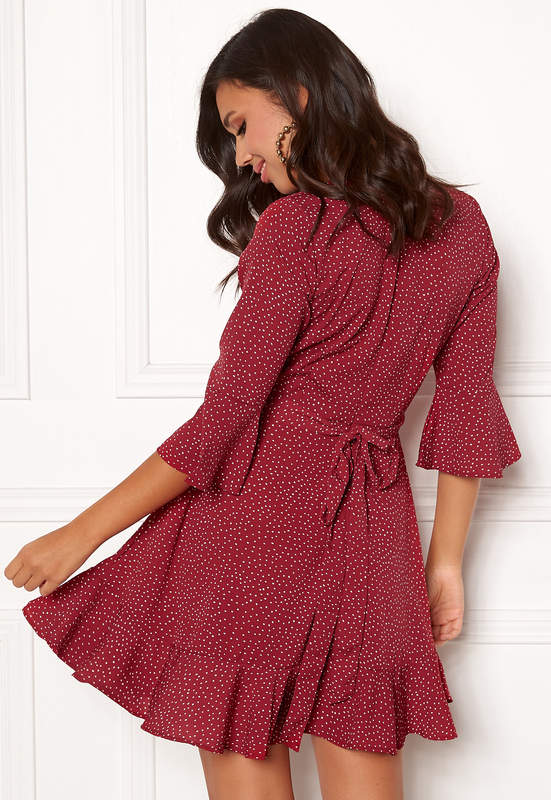 - Pretty flounce at the bottom of the sleeves and on the hem of the skirt. 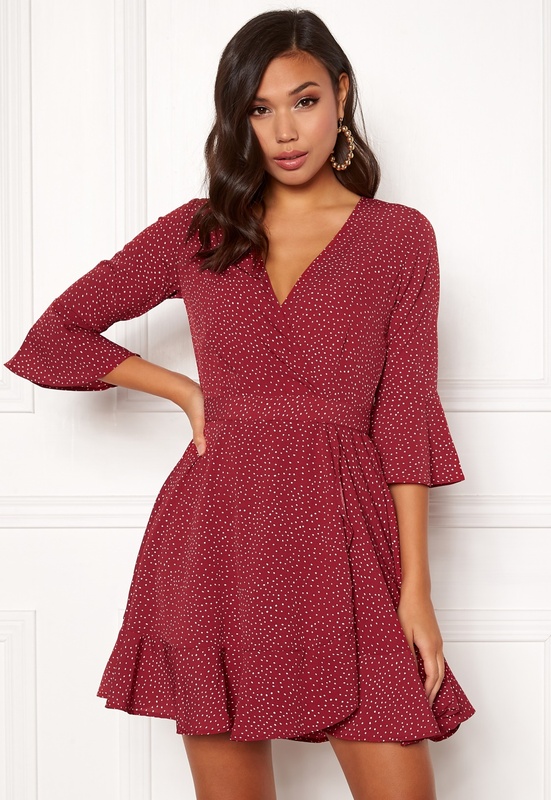 - Length of the dress from the shoulder: 86 cm in size 36. - Sleeve length: 41 cm in size 36.